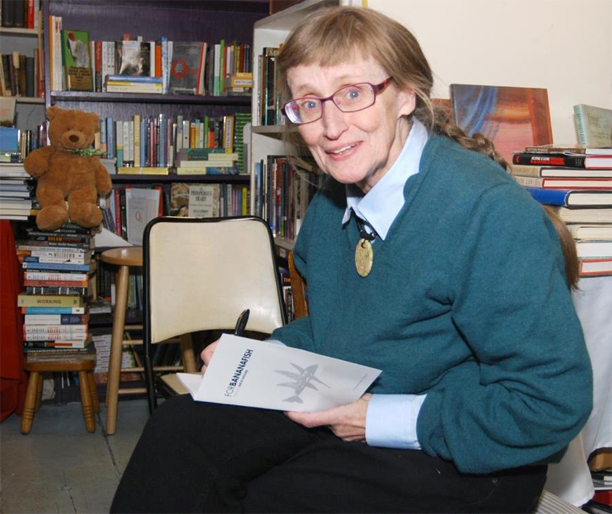 Antje Katcher (1948-2014) was a poet, playwright and photographer and the founding editor of Three Mile Harbor Press. She was born in Kiel, Germany, and immigrated to the United States in the 1960’s, making her home in New York City and beginning in the 1980’s on the East End of Long Island. In the 1970’s she was on the Editorial Board of New York Quarterly under its famed editor William Packard and also worked for legendary Broadway director Gene Frankel in his Manhattan theater school. Antje was the author of two chapbooks of poetry, Illegal Tender (A Musty Bone Press, Brooklyn) and For Bananafish (Three Mile Harbor Press, East Hampton). Her poetry also appeared in a number of magazines and journals, including Affilia, Calyx, New York Quarterly and Narrative Northeast. She was active in the poetry reading circuit both in New York City and on Long Island. After a career as a financial analyst at J.P. Morgan Chase, she made her living as translator of business documents from German into English. A committed political activist, she was a member of the South Fork Chapter of the Long Island Progressive Coalition and a stalwart silent protestor with Women in Black.